Home Medical sales Long Pants For Male Medical Sales Reps: Slacks Or Khakis? 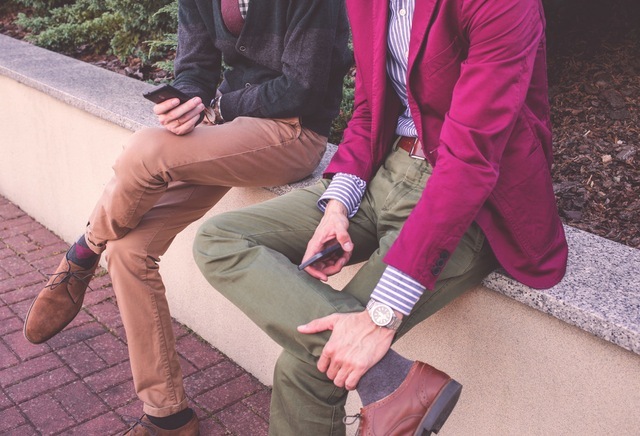 Long Pants For Male Medical Sales Reps: Slacks Or Khakis? ...when I look good, I feel good! I was thumbing through my "limited" collection when I've finally decided to go with my dark grey slack and blue navy long sleeve. So, without having to force anybody to iron things out for me, the head of the family, I head to the iron board which situated one feet from the wardrobe. I usually test the iron heat on the board, before I glide it on anything. But that day was different. I directly put the iron on my slack. ...but the after-smell was pretty nice. I can tell you that. ... I blame my wife for not doing the ironing for me. So, everything got the blame, but not me. And that's the end of my slacks era. All my working long pants after that were "slack free". In fact, the only slack I owned right now is a part of my suite. That's all. I don't even have slack for non-office use. ...and I believe it makes a better material for male medical sales reps. They can use it for office and casual function. In other words, it's quite versatile. Most importantly for me, I don't have to worry about getting it burned, especially, when I'm outstation. I can't bring my wife along during working trip, can I? Do you need to go for branded one? ...not to mention easier on your pocket too. You get comfort, style and spend less than you need to. But it all depend on your budget (I hope you have a budget, or else, I'll be nagging about that in the next post). That's the root for me not using slack as my working long pants anymore. Thanks to the iron, and the way the slack respond to its 'warmness', I now use only khaki long pants. Maybe, I'm based outside HQ so I'll take it that it's OK for me to fashion myself as such. Quite a "disturbing" image if you asked me. PS. Go here to see my choice of sleeve for medical sales job.